Real estate investing | Puck Realty, Inc.
With the market in Raleigh and surrounding areas, investing in real estate can be an exciting option to look into. However it is good to consider all aspects before jumping in head first. Real estate investing is not a get rich quick solution. Be prepared as you take your first steps forward and you will be well on your way to rewarding outcomes. Figure out the best road to take. 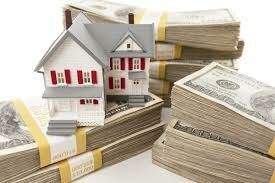 There are many options when it comes to making financial gains through real estate investment. A common area is ‘flipping’ homes. While it may not be like “Extreme Home Makeover” on TV, it involves renovations in a short period of time that allows you to sell the home for a profit. Another road is to purchase a property that will bring steady income such as rental property, apartment buildings, office areas or retail space. Look at your budget wisely. Don’t get sucked into buying a property for more than it’s worth. Overpaying will be sure to kill your budget. Research and look at what properties will truly bring you a profit without breaking the bank. Become familiar with real estate laws for your area and regulations that may be set up both locally and federally. Find out where there may be red tape and know what processes are best to operate in when looking to invest in your properties of interest. Take One Bite at a Time. Don’t bite off more than you can chew early on in your investment career. Start small with properties that are doable for you. Learn the process through these early investments. It will help prepare you for larger purchases in the future. Do It With the Right People. Partner with the right people when investing. Be sure your goals are clear and that you are all in it together when sharing not only the fiscal responsibility but also the legal issues, information prospect research and steps through each process of each property you choose to invest in. Having the right partner or team of people will make the load easier and move more efficiently. If you are interested in investing in real estate, give our team at Puck Realty a call at 919-842-5900 and let us put our years of experience to work for you!